....and touches your heart. That is the sentiment of my card today, and I think it is just beautiful. Happy Tuesday, everyone! I hope that you had a wonderful weekend! My blog has been quiet, because we had a very full and busy weekend. It was a lot of fun though- spending time with friends, attending a BBQ on Saturday, having a BBQ and a great night of games on Sunday. It was fabulous! But that means that I haven't had much time to sit down and create anything...so I finally had a chance! Yay! Instructions: Fold red cardstock in half to make card base, and round the bottom corners. Round the bottom corners and ink the edges of a scorecard paper block, and adhere to the bottom of the card. Ink the edges of a paper layer strip, and adhere to the top. Stamp the sentiment in the lower right corner and accent with jewels and a black flower. Stamp the banners to polka dot paper, and cut out. Thread twine through them and adhere over the seam of the two papers on the card front. Accent each end with a twine bow, and add a flower center. Add a red jewel to each banner flag to finish. Beautiful card, Lea! I just thought I would pop by and you had this lovely card. There is just something about red and black that is so elegant, that touch of green is wonderful. My roses have just started to bloom, red in the front, yellow, yellow orange mix in the back. Have a lovely week! another gorgeous creation Lea! I love, LOVE you elegant banner! Hi, Really beautiful card !! "Year One" Lawn Fawn Sneak Peek! "Smitty's ABCs" Lawn Fawn Sneak Peek! 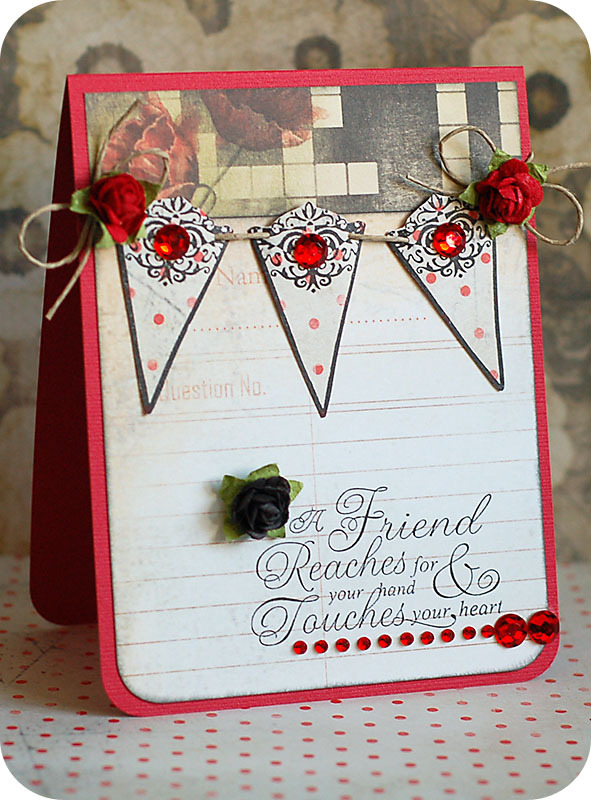 Stamper's Dream & Friends Blog Hop!! "Fanciful Frames" Lawn Fawn Sneak Peek! "Happily Ever After" Lawn Fawn Sneak Peek!